There is no doubt in the fact that we are witnessing an increase in digital data ranging from confidential documents to simple our photographs. In such times, a hard disk becomes handy to carry around and safely backup your data. The Toshiba Canvio Simple 1TB hard disk is an ideal option for a hard disk to buy for the abundance of storage space you get. The price of the Toshiba Canvio Simple 1TB hard disk is INR. 4099. Toshiba being a Japan-based brand has provided a quality product that gives a fast performance and longer durability. The Toshiba Canvio has USB 3.0 interface and it is also compatible with USB 2.0. Adding to that, the hard disk has 5400 rpm and its data transfer rate can go up to 5 Gbps. The hard disk can easily set up as it doesn’t need to be done separately and it is compatible with Windows XP and above versions. Talking about its aesthetics, it is a compact box and it weighs only 147 grams. This makes the hard disk convenient to carry around without affecting the data in it. The Toshiba Canvio Simple hard disk is available in various storage capacities ranging from 300GB to 3TB. This is hands-down a very good option for a hard disk if you are looking forward to buying one at a basic level. 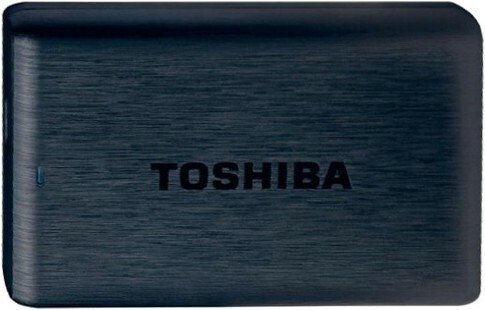 Toshiba Canvio Simple 1 TB External Hard Disk full specs and reviews as of Apr 2019. Buy it here!